Excellent tips and suggestions for this beautiful month of Ramadan from Ustadha Zaynab Ansari. Zaynab Ansari Abdul-Razacq is a native Southerner with Northern roots. She spent several years studying the core Islamic sciences, including Arabic, jurisprudence, Qur’anic recitation & commentary, Hadith, and Prophetic biography in Damascus, Syria at Abu Nour Masjid’s college preparatory program. 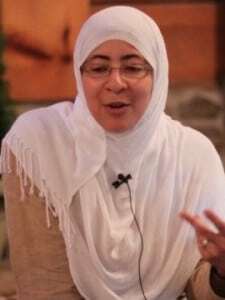 Upon her return to the United States, she continued her Islamic studies privately with Shaykh Khalil Abdur-Rashid, Imam of New York’s Iqra Masjid, Shaykh Faraz Rabbani, educational director of SeekersGuidance, Shaykh Jamal Ud-Deen Hysaw, and Dr. Fareeha Khan, Assistant Professor of Religion & Anthropology at Willamette University. From 2004 to 2009, she volunteered, answered questions, and taught for SunniPath Academy. She currently answers questions for SeekersGuidance Answers Blog, writes for Azizah Magazine’s Deen Department, and volunteers with the Islamic Speakers Bureau of Atlanta. She did her undergraduate work in History and Middle Eastern Studies and is planning to pursue a master’s degree in World History at Georgia State University in the fall. She is married and has three children.